120x60x60mm rectangle crystal with domed top and 3D artwork laser engraved / etched inside. 3D Crystal - Customised designs laser engraved INSIDE beautiful optical crystal, valued for its brilliant clarity, significant weight and timeless quality. High perceived value product with considerable "Wow" factor and longevity. Represent your brand with unique, high-quality, high-class product that is a real conversation starter. Manufactured locally ensuring short leadtimes and no minimum order quantity. 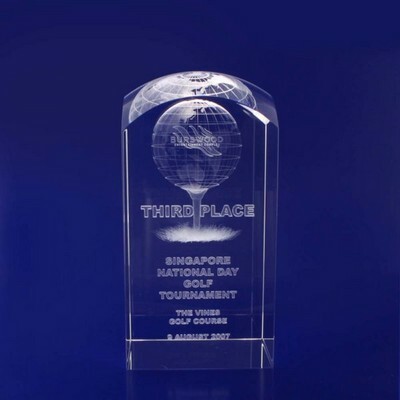 3D crystal is perfect for awards, corporate gifts, paperweights, commemorative items, staff and service rewards, promotional products, desk and stationery items, trophies, merchandise and memorabilia.